Good evening everyone. I hope you all had a great Saturday. I'm back with a second post this evening. If you have not checked the first post it out please do so very pretty Witch Carousel. I knew I had to make a card with this pumpkin digi the minute I saw it. The chicks are just too cute. I digitally filled each section with digital papers and color. Then cut out using the Cameo. I really love the sentiments and think they work very well together. Would love to here what you think. 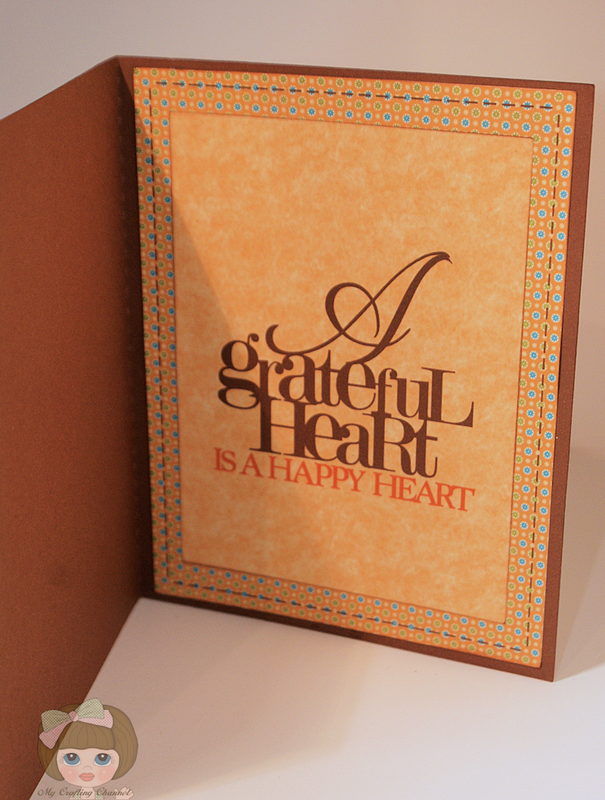 DL.ART THANKFUL THURSDAY #119 CHALLENGE: PUMPKINInspire Me Fridays 124 - Anything Goes! CARDZ TV GO-TO GALZ LINKY PARTY CHALLENGE #6 "PUMPKIN PATCH"
This is just darling! Love the little birds! This is just lovely! Very nicely done. ADORABLE!!! I Absolutely LOVE it!!! Oh my, this is just adorable Nana! What a darling image and fun sentiments! This is just too cute! Thanks for playing along with us this week at Speedy Fox and Friends blog challenge! What a lovely card - inside and out! Thanks for joining us at Speedy Fox & Friends. Oh, that is just adorable! I love that image, and I love how you clipped the papers to the image. That's such a cool technique. Thanks for joining us at CAS-ual Fridays!